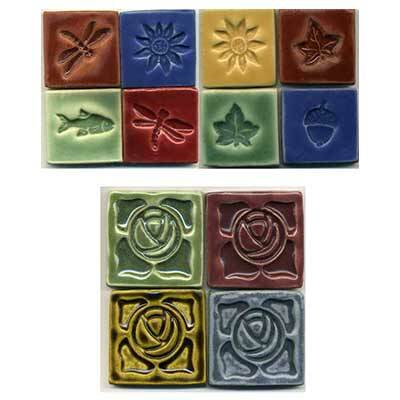 We can make small accent or border tiles in a variety of sizes, designs and colors. 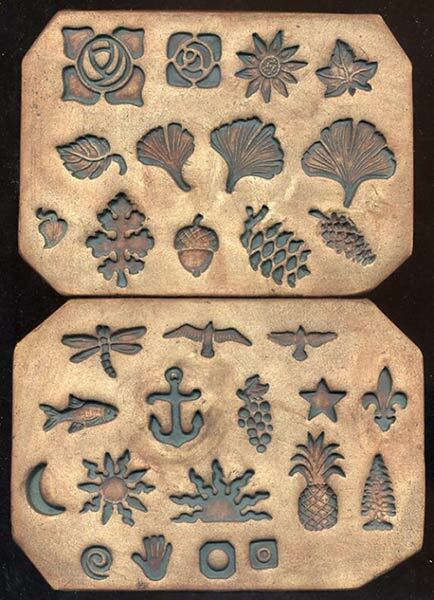 Those shown here are 2" and 3" examples. Top row: salmon, dark blue, daisy yellow, salmon. Second row: hunter green, apple red, pine green, dark blue.